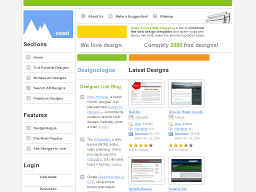 Open Source Web Design A community of designers and site owners fr'eely sharing designs as well as design information. Templates can be found by searching various criteria such as color and validation. 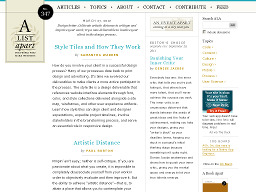 Design information and tips can be found in the Forum and Design News which outlines articles about design across the web. DevArticles.com An excellent article and tutorial resource site that provides up-to date, relevant and informative content to beginning, intermediate and advanced developers & programmers alike. If you're looking to advance your knowledge of HTML, ASP, Java, XHTML, CSS, MySQL, etc., start here. Pixel Resource Network A graphic and web design site, established in 1997, that has recently added a message/bulletin board service for posting questions and solutions dealing with most aspects of web site design and development. 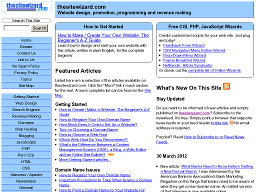 TheSiteWizard.com Offers articles and tutorials related to website design, promotion, programming and revenue making. There's a lot of content on this site and well worth checking out. WebsiteGoodies Offers articles, resources and tools for webmasters, including tutorials, promotion tips, free guestbooks and counters, and a free advertising rotation service with banner weighting, stats and advertiser logins. 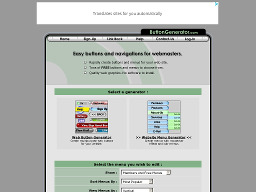 ButtonGenerator.com A fr'ee Online tool to add text to buttons. This is one of the slickest button generators we've seen. The site currently has 36 button types and 19 styles. Check it out. PicApp An online picture search engine and tool for adding high-quality, current, and creative images to blogs and websites - without the copyright or licensing worries. A List Apart For people who make websites. It is a community for designers, developers, producers, project managers, architects, and assorted specialists to discuss and share their ideas and technology with special focus on best practices and web standards. 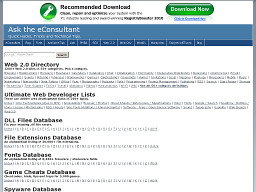 eConsultant.com The ultimate web developer list providing 4000+ web development links in 2000+ topics. Some very useful stuff at this site. 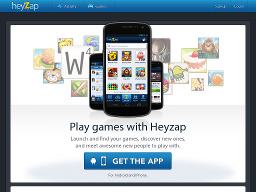 HeyZap Allows any website or blog to add flash games to improve traffic and visitor retention. Publishers can use widgets, APIs or RSS feeds to connect up to over 12,000 games. 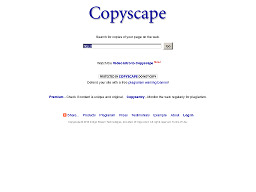 Copyscape.com Finds sites that have copied your content without permission, as well as those that have quoted you. Simply type in the address of your web page, and Copyscape does the rest. 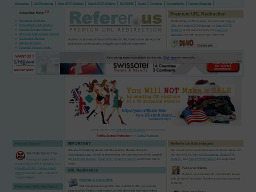 Referer.us An advanced URL redirection site providing services for webmasters, bloggers, and affiliate marketers. URL Redirections include; Short URL, No-Referer URL, and Hide HTTP Referer, etc.